Your home’s overall energy efficiency is not as exciting to think about as a solar PV system, but it is much more important in most cases. Solar PV systems are getting more affordable, but that doesn’t help much if the overall energy consumption is higher than it needs to be. An energy efficient home will require about half the PV system size as a home that is not energy efficient. There are several low cost improvements that can improve energy efficiency; there are also many improvements that require an investment but provide good return on the investment. 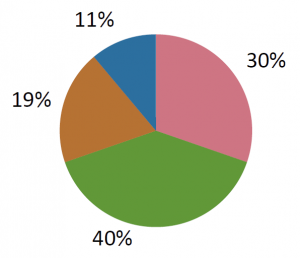 The division of energy consumption in a home looks similar to the following pie chart taken from the Energy Industry Administration report. Appliances, electronics and lighting make up 40% of the home’s energy consumption. The lowest cost improvement is changing the energy user’s behavior, e.g., turn off lights and appliances when not in use. Replacing old appliances with higher efficiency ones as they require replacement, such as LED bulbs in long-hour-use fixtures. Water heating costs can be reduced by several methods; the lowest cost methods are listed first. Insulate the hot water pipes from the water heater to the point of reduced access to the pipe. Buy and install an insulated jacket for the water heater. If your water heater fails and needs replacing, replace it with a high efficiency one. There are models that use a heat pump as the primary source of heat generation with heat coils as backup. Another, but more expensive option is to install a gas tankless water heater. Heating and cooling together account for about 40% of the home’s annual energy usage. The best savings for the investment is to simply seal all cracks from the exterior to the interior of the home. This would be at the foundation, around doors and windows, and fixtures and access-ways to the attic. The next best investment is to improve the quality of insulation in the attic. The best insulation improvement is to have spray-foam insulation installed in the rafters and vertical walls of the attic. If there is a basement, the walls should be spray-foam insulated as well. Replacing blown-in insulation with spray-foam insulation can reduce heating and cooling costs by up to 50%. That would reduce the home’s total energy consumption by 20%. It takes some effort and some investment to make the home energy efficient but it will not be nearly as expensive as trying to offset that portion of inefficient energy usage with a solar PV system. A 2000ft² consumes about 1800kWh/month. With an investment in spray-foam insulation, water heating insulation and replacing old appliances with high efficiency ones, it is easy to reduce the home’s energy consumption by 30% to 40% and spend less than $6000. 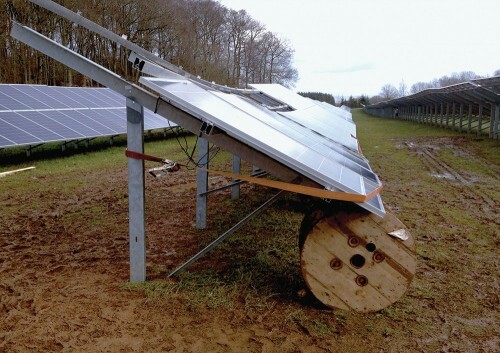 That is about ½ the cost of a PV system to offset the same amount of energy. Reduce energy consumption first through energy efficiency and then look at offsetting the remainder with a PV system. You may even have some money leftover to include energy storage with the PV system. The difference between the two eclipses I’m referring to has to do with their effect on solar power PV (photovoltaic) systems. The effect of this year’s eclipse will be negligible mainly because the level of solar penetration – the amount of solar power being put into the electrical grid – is not that great. However, the level of solar power connected to the grid will be significantly greater in 2024. If we had the same level of solar PV penetration now as we will have in 2024, the eclipse could create instability in the grid because of voltage collapse along its path. Interestingly, we will have a different type of solar generation system when the 2024 eclipse occurs. Energy storage with smart power monitors and utility controllable inverters will be the standard in 2024. Fortunately, there will be no noticeable difference in the effects to grid stability. 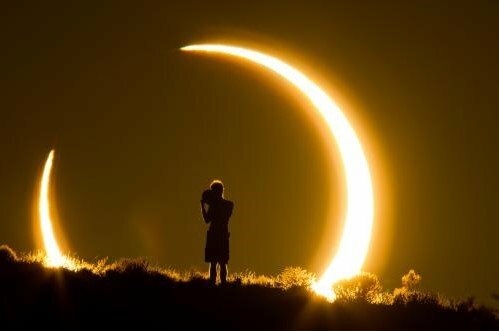 Without energy storage and smart inverters that continually communicate with the utility, the effects of the eclipse would definitely be felt when the next eclipse occurs in the U.S., but we will sail through it as we would hope to, with our solar-safe glasses, a lawn chair and no worries about its effects on solar electric systems. We like to share good information about solar from other sources and this is a great article with good information about the solar market in the U.S. today. Residential and commercial solar installations have increased as costs have gone down, and the number of solar panel installations has increased dramatically as a result. It’s a good time to get into the market. SolarWindow Technologies, Inc., the leading developer of first-of-its-kind transparent electricity-generating coatings for glass and flexible plastics, announced that it has entered into Phase III of its Cooperative Research and Development Agreement (CRADA) with the U.S. Department of Energy’s National Renewable Energy Laboratory (NREL). The primary development goal of the Agreement is the commercialization of SolarWindow products. SolarWindow can provide a one-year financial payback while producing 50-times greater energy than rooftop solar when modeled for a 50-story building, according to the company’s independent validation. 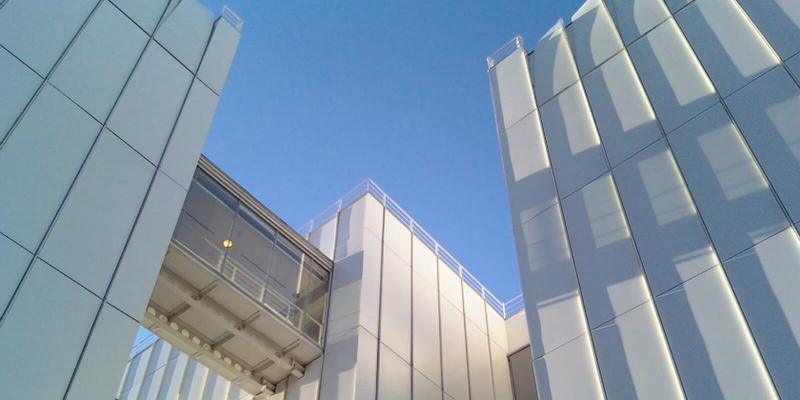 For the same building, SolarWindow shows 15-times the environmental benefit of rooftop solar by avoiding 2.2 million miles of equivalent carbon dioxide emissions produced by vehicles, according to the company’s independently validated Power & Financial Model. An excellent article from Money CNN about the growth of solar jobs in 2015. Kelly Provence is one of a very small number of people who holds three NABCEP Certifications: PV Solar Installer, Solar Thermal Installer and PV Technical Sales. Kelly is the owner of Solairgen School of Solar Technology located in Dahlonega, Georgia. Solairgen is a training company which offers a complete program for electric solar panel installers and PV technical salespeople. Kelly is also an IREC/ISPQ Certified Master Trainer and a licensed master electrician. 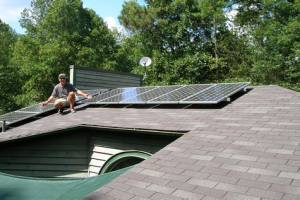 In a personal interview, Kelly said, “I have always been an environmentalist, so in the late 1990s I felt it was time to take a serious look at my own ecological values, so I began incorporating PV installations into my electrical business. 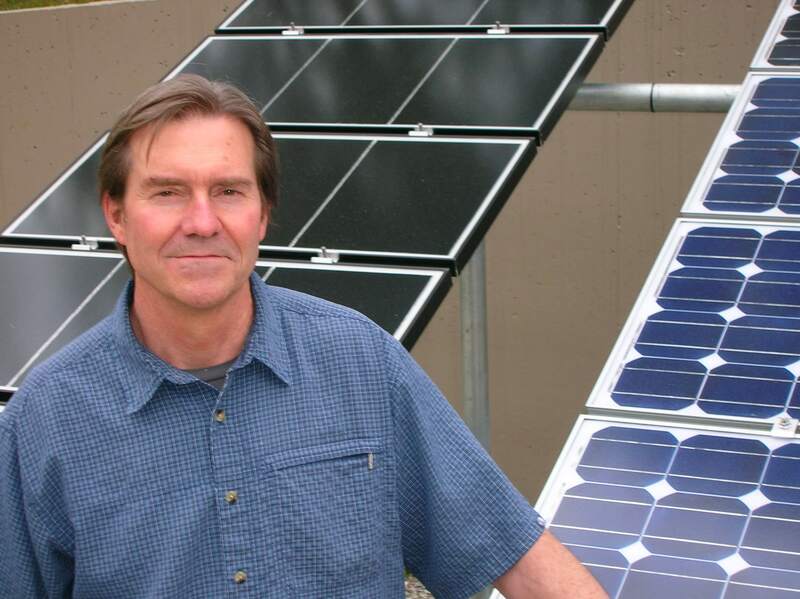 “In 2002, I began focusing my efforts solely on PV, installing mainly off-grid and battery back-up systems. I branched out into solar thermal installations from there and sought certification in that area. Getting my NABCEP PV and Solar Thermal Installer certifications definitely opened doors for me; I received multiple job offers because of my NABCEP Certifications. “After three years volunteering as a Director with the Georgia Solar Energy Association (GSEA), lobbying state and federal politicians on environmental issues, I realized there was a need for competent installation training, and there was no training facility in Georgia. “It became clear that the solar installation industry needed a way to recognize experienced installers, and I shared NABCEP’s core purpose of maintaining high industry standards. I sat for my first certification, NABCEP PV Installer exam, and since then I have consistently advocated for NABCEP Certifications to all my students. “In 2005 I transitioned the company to solar training exclusively, and it’s now my full time occupation. Approximately 50% of the people installing in the state have taken Solairgen training, and many of them have gone on to become NABCEP certified professionals. Today, many entities in the state, such as Georgia Electrical Membership Companies (EMCs), recommend or require installations to be performed by NABCEP certified contractors. “My NABCEP Certifications tell customers I have achieved high-level skills, and lets them know I didn’t get into this yesterday. NABCEP Certification distinguishes individuals within the industry. “I went for the PV Technical Sales Rep certification because students needed to be confident I have expertise in the subject I’m teaching, and I needed to know what the test was like. “My customers respond positively because they understand NABCEP is the best example of self-regulation within the industry. I support it 100%. My students know what NABCEP Certification means to their careers; most are on track to become NABCEP Certified Installers or PV Technical Sales Reps.